10 Easy-to-Digest Lunches to Bring to Work. Healthy, Happy Tummy. 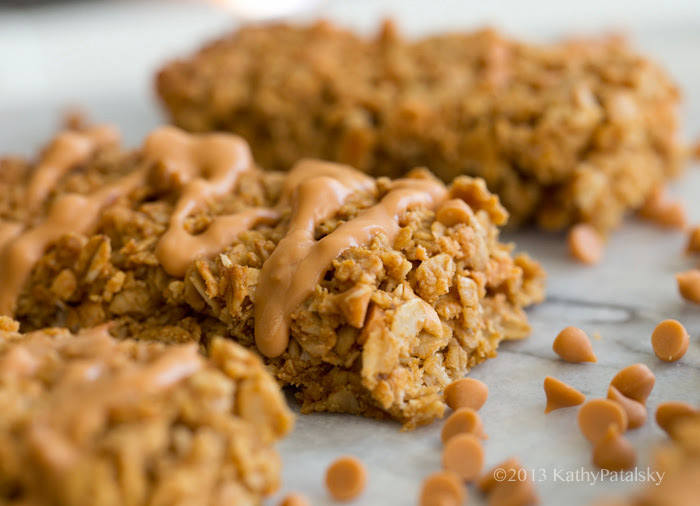 I recently read an interesting comment on a website that made me want to gather a collection of work week and lunchtime-approved recipes that are fast to make, delicious and most importantly, easy to digest. It was an interesting topic that this person brought up and I would love to expand on it and provide some recipes. 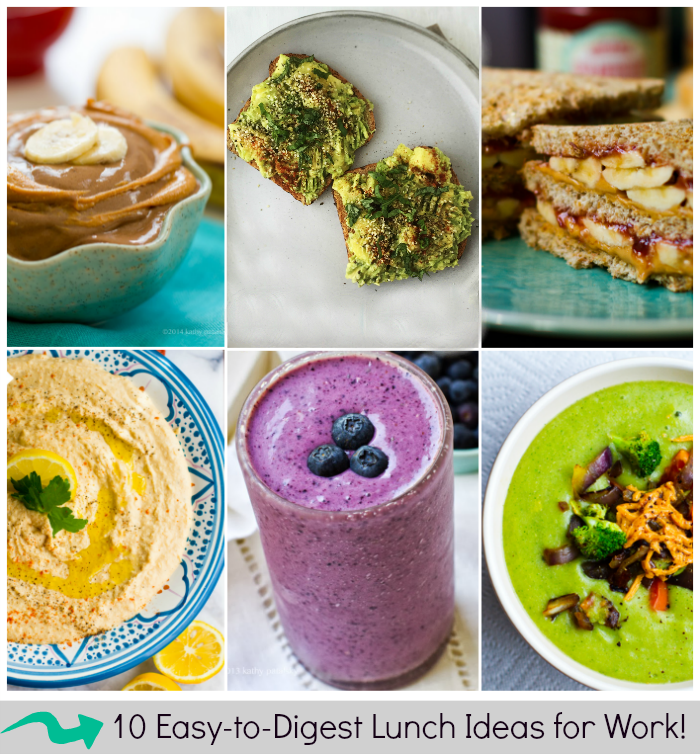 Check out my ten easy-to-digest lunch ideas and -- plus get my most-important digestion tip of all. Lets talk digestion!.. Inspiration. I recently read a comment on a Buzzfeed article that featured easy work lunch ideas. The round-up of recipes includes giant grain salads, legume, dark leafy green salads bursting with diverse and fiber-ful veggies and fruits. Lots of colors, textures and fiber. The commenter said that she was a school teacher and her quick lunch at school carried some challenges. (Think back to that school image of a busy teacher chowing down at his or her desk). She said her lunchtime wouldn't allow her the time to fully and properly digest the lunch ideas featured in the round-up. 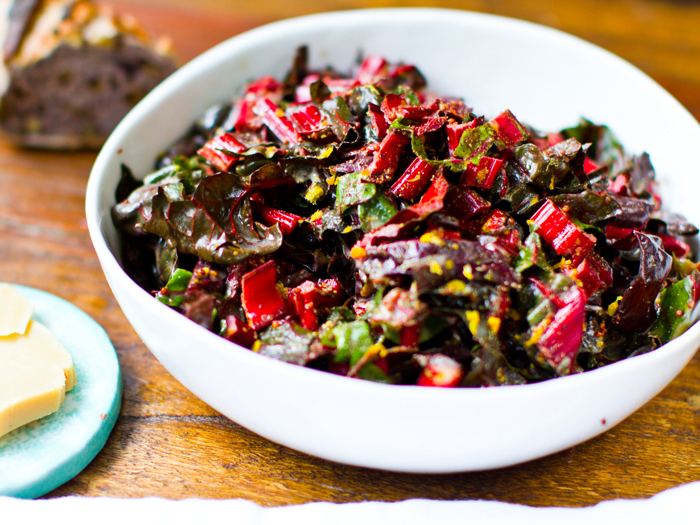 Kale salads, veggie-filled pasta and grains, large portions that are nutrient-dense. This is a very good point! If you have limited time during your workday to sit down, relax and fully give into lunch, proper digestion can be a challenge. Eating a giant, fiber-ful meal and them going out and running a marathon would be a very bad idea, yes? Well for some people, the physical and mental stress that their jobs put on them can feel like a marathon! Or at the very least, a hearty jog around the block. And if you are a school teacher, chasing seven year-olds around a classroom after lunchtime, you certainly do not want that giant kale and quinoa salad screaming at you from inside your stomach saying, "Hey wait! Sit down! It is my turn to get the energy funds right now!" I have personally struggled with a lot of digestion issues in my adult life. These were things that I eventually "cured" simply by really taking notice of what foods I can eat, when I can eat a lot of them, when I cannot, and what foods are my safe foods that I can always eat, etc. Digestion is such a personal thing. Some of us can chow down on a giant bowl of fruit, beans, veggies and grains and not think twice. While a big meal like this may leave others passed out on a couch for hours while their stomachs work to figure out how to digest all those fiber, protein, carbs and fats. Your personal digestion strengths and weaknesses can change over time. If you are not used to eating a lot of legumes, a giant side dish of beans may leave you feeling gassy, afraid to eat beans ever again! But if you add legumes slowly and consistently to your diet, your body may build up much more of a tolerance to them over time! In my book 365 Vegan Smoothies, I talk a lot about how smoothies are great because many people find them easier to digest than consuming all those whole fruits and veggies, in their unblended state. I also talk about fiber and why for most people, more of it is a good thing! Leafy greens, nuts, fruit, seeds, grains. But for some people, it can cause your body to be very uncomfortable and even contribute to inflammation. When your body cannot digest something very well or finds digestion challenging, you can end up with inflammation. But like I said, everyone is different! Thus why it is so important to listen to your body. It is wonderful that the school teacher who commented actually KNEW that her body would not like to digest all those bowls in her short-on-time, stressful lunch hour! For her, I would advise trying one of the recipes in my round-up today, and waiting for dinner or even a long breakfast to consume a big, fiber-ful bowl. 1. Portion Size. Smaller portions are easier to digest. So if you are consuming something complex and hearty, go for a smaller portion size at lunch. 2. Raw vs Cooked. This is a tricky one. Some people report having an easier time digesting cooked foods, while others say they digest live veggies MUCH better based on the live and active enzymes in the raw foods. Get to know which works for you. 3. Fat. Fat slows down digestion. So keep this in mind! If choosing higher fat foods, make sure they are healthy fats like avocado and nuts - and really watch your portion size. A reason cooked foods may be easier for some to digest is that the warmth may warm your stomach a bit, helping blood circulation to the stomach, which is part of digestion - at least that is one of my theories. Whenever I am cold or have bad circulation I find my digestion isn't as efficient as when I am warmed up. But in general, I like a mix of raw and cooked veggies at mealtimes. Or very lightly cooked or wilted raw veggies. 1. Smoothie. Shake. Or Smoothie Bowl. Yup, my personal favorite is a smoothie. 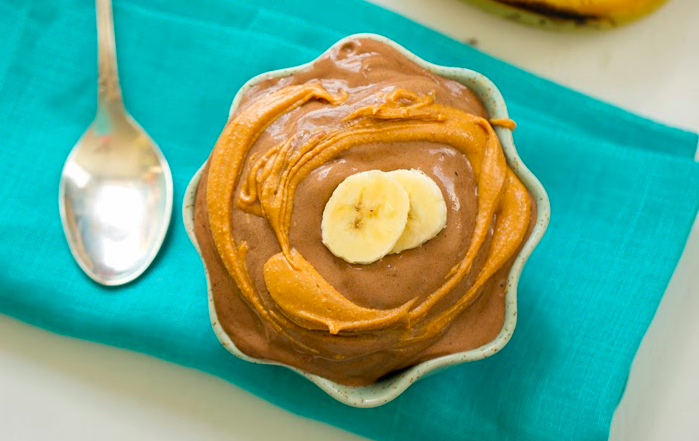 Otherwise known as a shake, and sometimes served as a smoothie bowl. You can make a smoothie in under five minutes and consume it in the same time. By the time the smoothie hits your stomach all those whole foods have already been broken down into tiny particles, a liquid state. So your stomach can much more quickly empty and keep things moving along. But I know what you are saying: I do not have a blender or ingredients at work! Well, why not? You certainly have access to a coffee machine at work, yes? Or a microwave? Well ask the office manager to invest in a Vitamix for the office. "Vitamix? Pretty please?" Or if you are a school teacher or similar, save up and invest in the new Vitamix S30, a mini version of its powerful blender. You could easily store it under or locked in your desk and whip it out for lunches. And those ingredients? Instead of packing a lunch, you could pack a smoothie! Stuff some leafy greens, fruit, protein powder and a bottle of liquid in your lunchbox and blend and serve for lunch. And hopefully you have a freezer you can access for frozen ingredients. Bonus: Usually freezers are less crowded than fridges in offices. Get recipes in my book 365 Vegan Smoothies - and order a Vitamix S30 here. Your 2015 will be a healthy, happy tummy one with these two tools! 2. Blended Soups. 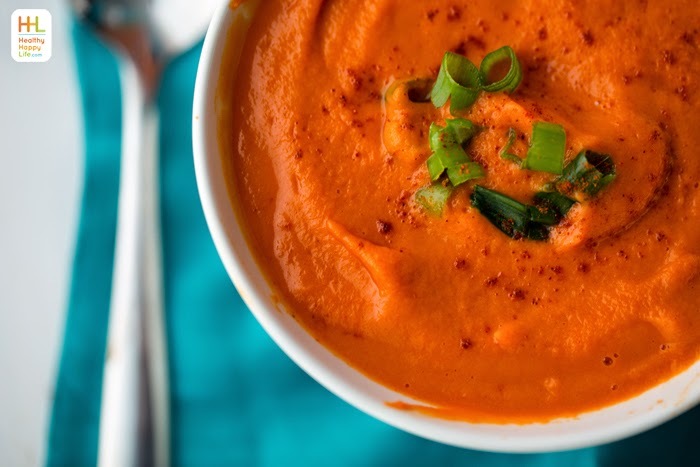 Right along with smoothies, blended soups offer an easy way to consume healthy whole foods in a pre-broken down state. 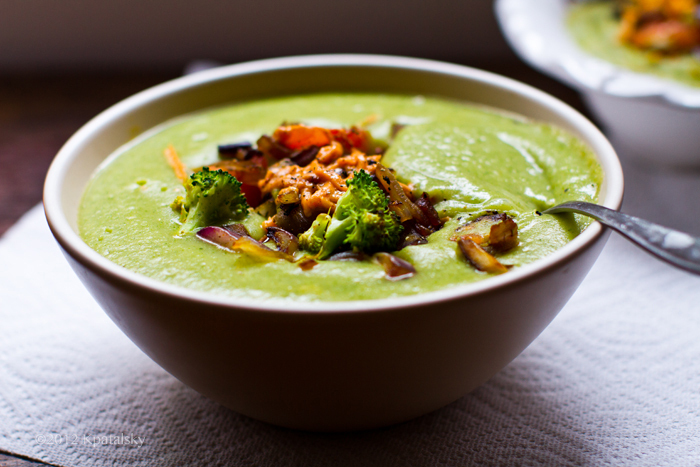 I am a huge fan of blended soups! And for soups, they travel very well so you can bring them in a heat-containing soup container and eat them at lunch, or re-heat as needed. Bring along some toast or bread to toast if you'd like. 3. Avocado Toast. 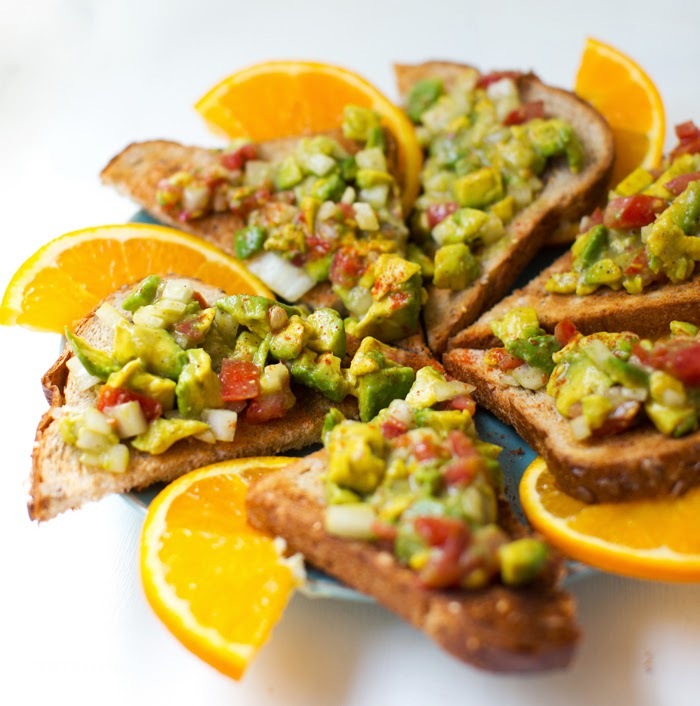 Avocado toast is an easy-to-digest lunch because it is rich in healthy fats and fiber, but its creamy texture is usually easy to digest. Pair that very simply with some toast and maybe a small accent of sprouts, seeds or greens on top and you can a light, yet power-fuel sort of lunch. 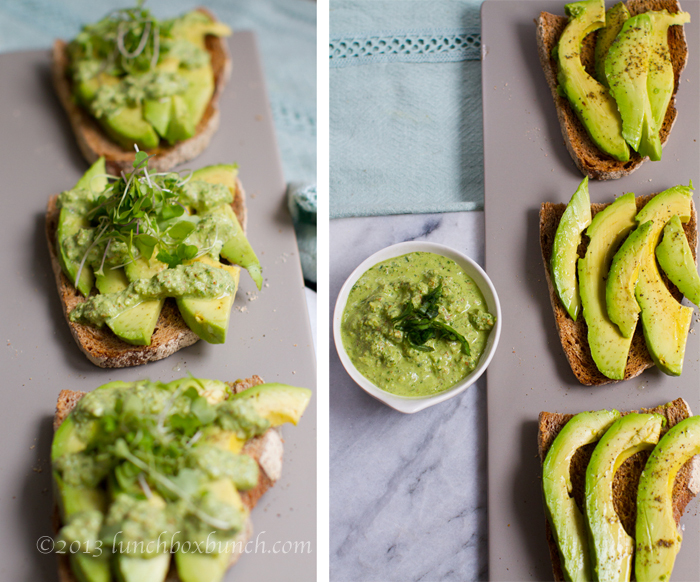 Tip: add plenty of lemon to your avocado toast to keep it from browning. The lemon may also aide in digestion due to its acidity. 4. 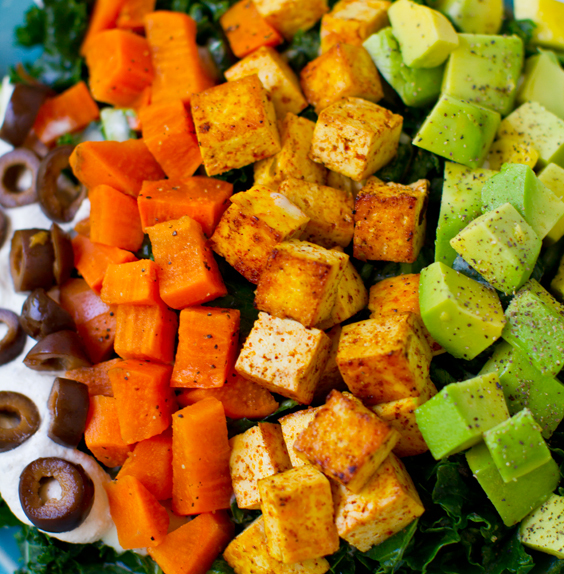 Raw Chopped Salads. If you crave a salad make sure you do this: chop chop chop. By chopping the ingredients as much as possible you are aiding digestion. Just think of every chop as a chew. Instead of biting a giant carrot and chewing it from its whole state, you can chop it into small bits or strips so that your mouth does less work. Choosing raw foods is helpful for some people because raw foods are rich in live enzymes that can help your body digest. Tip: Try not to get too complex with ingredients. Choose just a few and stick to only veggies and maybe one accent like a legume or a grain to bring more nutrient complexity to your meal. 5. Hummus. Hummus goes right up there with 'blended' lunches' because a large portion of the filling, the legumes, is blended. This may help aide in digestion a bit while still adding healthy legumes to your lunchtime plan. 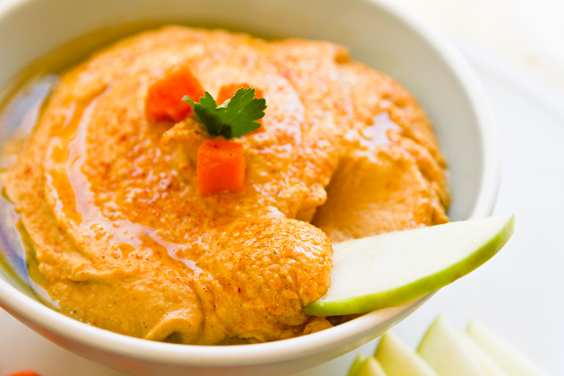 And the great part about hummus is that you can make it from a variety of ingredients, not just chickpeas. Try edamame, white beans, lentils, soaked nuts like cashews, chickpeas, black beans and more. 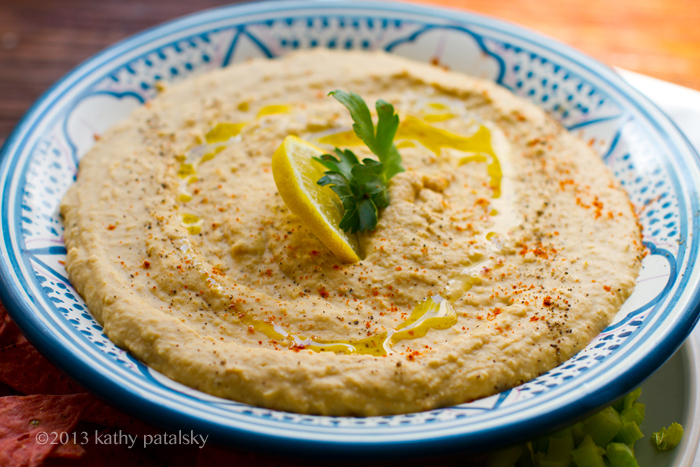 You can add the hummus to a pita, wrap, bread or even paired with veggie sticks or crackers. You can add a few raw leafy greens to the hummus, which will add those live enzymes and add a modest amount of veggie goodness. 6. Digestion Boosters! I love this tip because you can add it to any lunch you currently love. Add a digestion booster for after or before your meal. My favorites: pineapple, kiwi, papaya, ginger. I know some people do not like to add fruit to their meals, fearing that the food combining is off and will interfere with digestion. If this is you, give your meal a half hour or so and them try a chunk of pineapple or a sliced kiwi. The digestive enzyme bromelain in the pineapple may help you digest your lunch. Eating pineapple may help relieve indigestion after a big or hearty meal. Try it out and see if it helps you! I also love kiwi because though it does not contain bromelain it is rich in enzymes. So much so that these three fruits (pineapple, kiwi and papaya) are often used as meat tenderizers. Now obviously I am not a meat eater, but I certainly will let those fruits tenderize my plant-based eats! Ginger is another great digestion stimulator. Try adding fresh raw ginger to your meals or even ginger chews or fresh ginger tea after lunch. 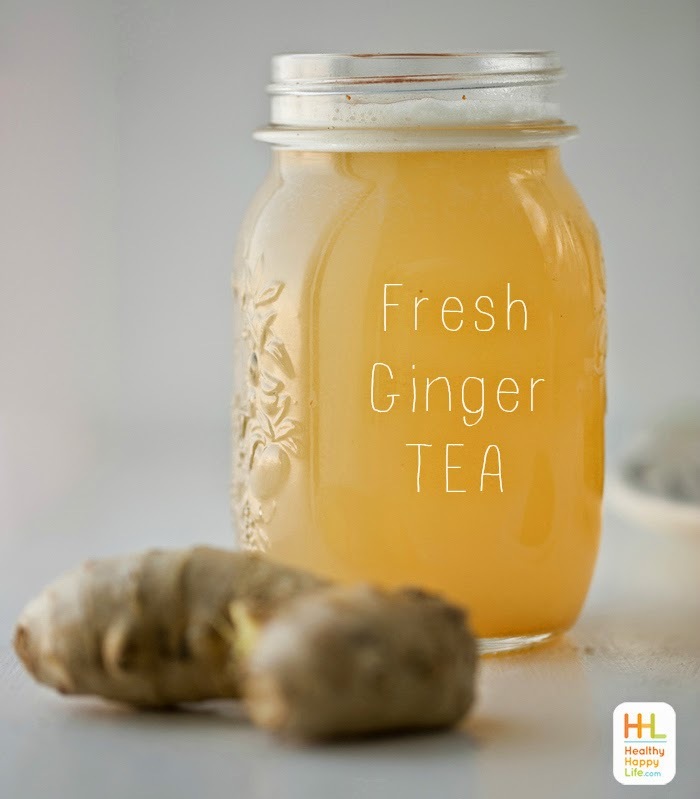 Take a bottle of fresh ginger tea to work! 7. Get Nutty. 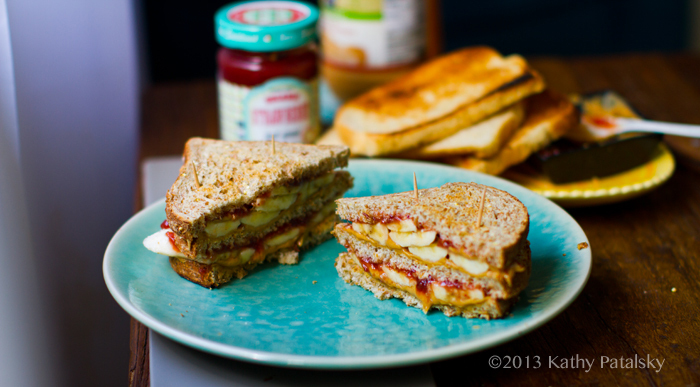 And lastly, nut butters are brilliant for lunching. Spread them on toast and bread for sandwiches or even wrap them up into wraps. 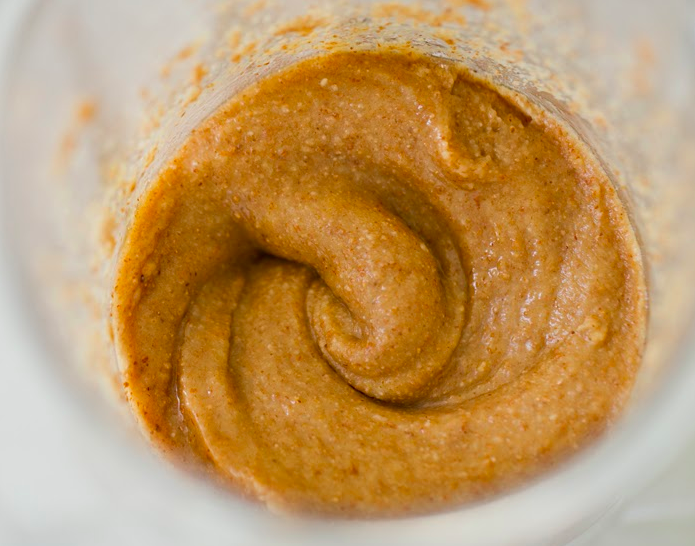 Peanut butter and almond butters are classic, but you could also try seed butters and exotic blends like pumpkinseed and cashew. 8. Bars. 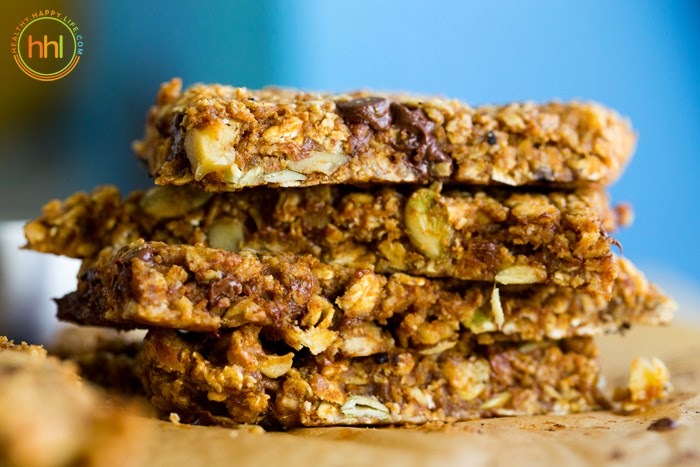 Homemade nut and seed and grain bars are great for an easy-to-digest lunch because while they provide high nutrient density and high calories, they are not providing much bulk. Nuts and seeds have a high density of calories, so you are fueling your body without over-filling your tank, so to speak. Less bulk in your stomach means it may feel less stressed during digestion. Maybe. Like I said, every tummy is different! But bars just may be a good way to fuel without over-doing it on your digestion needs. 9. Be a BRATT! When all else fails, stick to the long-time digestion accronym. BRATT. Bananas. Rice. Applesauce. Tea. Toast. But get creative with this intrepretation! Try bananas, yes. Maybe bananas on some nut butter toast or in a smoothie. 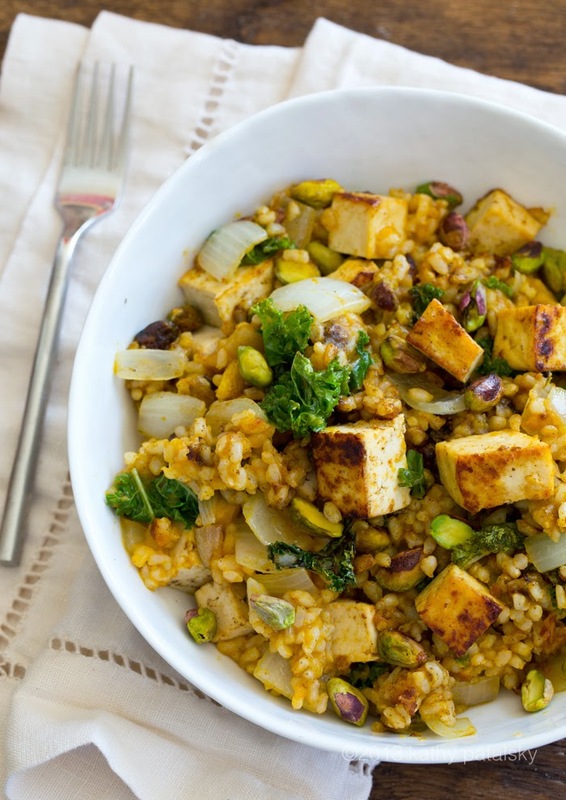 Rice can easily be worked into a lunchtime meal. 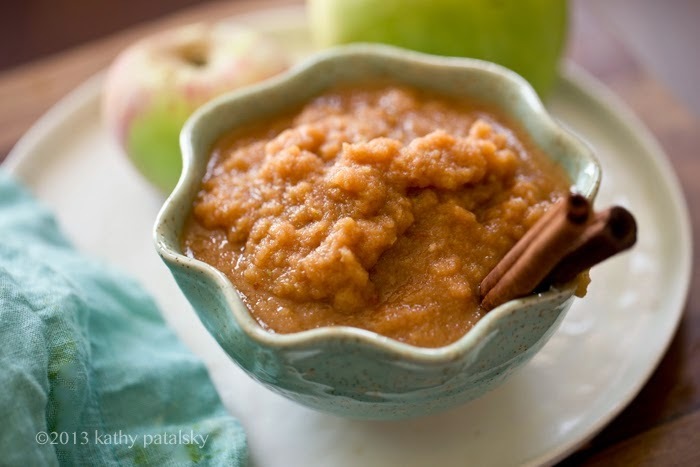 And applesauce could meal any fruit puree. Try berry-sauce! Or even try a veggie sauce or dressing puree if you want to get really creative. You could even throw in puddings here. Some people find chia pudding to be helpful for digestion, others the opposite. Tea, could be any warm liquid that may settle your stomach and warm up your circulation, inspiring digestion. Try that ginger tea above! And toast means that crispy bread is usually easier to digest than fresh. I do not have the scientific explanation for this, but I think the heating breaks down the molecules? Total guess, but I think it is true! 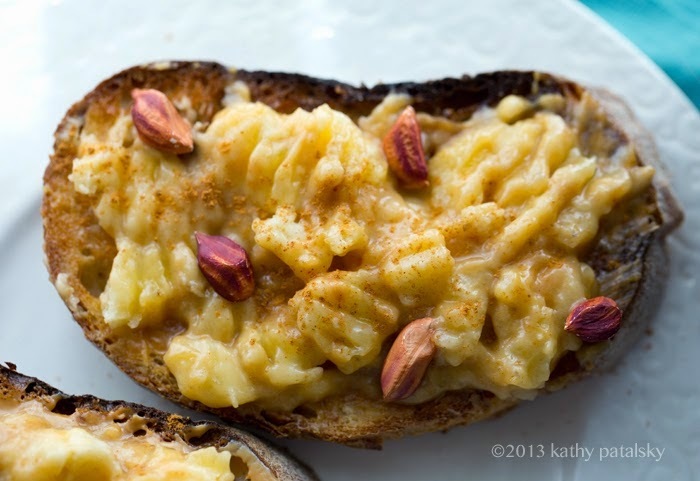 Toast can be any gluten-free or gluten-containing bread paired with any of the above options. 10. 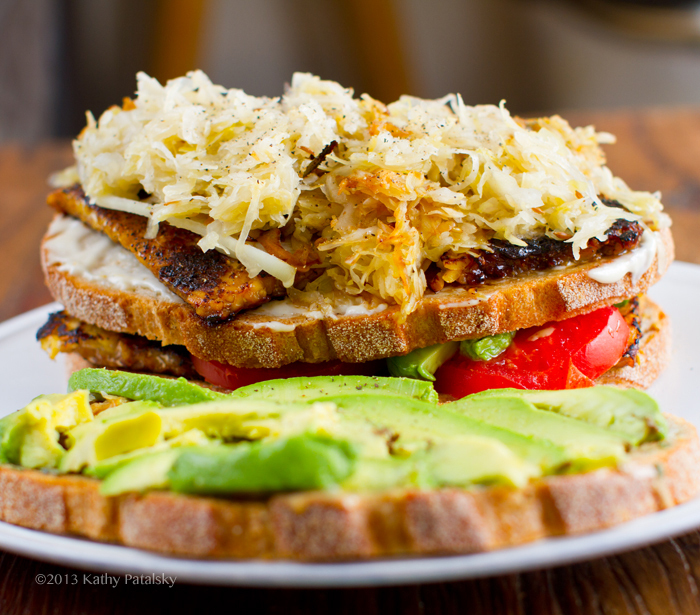 Fermented Foods! Add some digestion-enhancing fermented foods to your meal. The goods: sauerkraut, kombucha, yogurt, tempeh, miso, pickles! The Most Important Digestion Tip. I hope these ideas have helped you a bit! Happy lunch and remember, your stomach is very sensitive to your mood. So above all, try to keep your lunch hour calm and free of stimulus and stress whenever possible. A calm mood is the best way to help your tummy do its thing! *Ask Your Doctor! And as always check with your doctor is you are having ANY digestion issues! He or her can give you insight and advice. Do not be shy, digestive issues are nothing to ignore, they can truly effect your everyday life.